A couple of months ago I started working with a startup called Genome Compiler that specializes in software platform to accelerate Genome and DNA design. Their main product was created using Flash and they wanted me to help them to create a new Genome viewer using plain web technologies. They wanted to visualize plasmids, which are small DNA molecules represented as a circle with annotations. They also wanted to visualize sequences, which are the primary structure of a biological molecule written in A, T, G and C characters. To create such visualization we needed the ability to create graphics inside the browser. For more than four months I’ve been helping Genome Compiler to create their viewer using both Scalable Vector Graphics (SVG) and AngularJS. During the time, I learned how to combine SVG and AngularJS together to create biological models and other graphics. In this article I’ll explore what SVG is. Then, I’ll explain how SVG can be used in AngularJS applications. Towards the end of the article, you will see a simple application that combines both SVG and AngularJS. Note: The article won’t cover the project that I’m doing for Genome Compiler due to the fact that it’s too huge to be covered in an article (or even in a book). Disclaimer: This article assumes that you have basic knowledge of AngularJS. If you are not familiar with AngularJS, I encourage you to stop reading and start learning about this framework today. SVG is an XML-based graphics model that you can use in your front-end. As opposed to other new HTML5 graphics models (such as canvas and WebGL), SVG version 1.0 was made a W3C recommendation in 2001. The SVG developers’ adoption was very small due to the popularity of plugins such as Flash, Java and Silverlight, and the lack of browser support. In 2011, W3C introduced the second edition of SVG, version 1.1, and SVG gained a lot of attention as an alternative graphics model, besides the Canvas pixel graphics model. SVG is all about vector graphics. With SVG you can create and draw two-dimensional vector graphics using HTML elements. These HTML elements are specific to SVG, but they are part of the Document Object Model (DOM) and can be hosted in web pages. The vector graphics can be scaled without loss of image quality. This means that the graphics will look the same in different screens and resolutions. This makes SVG a very good candidate to develop graphics for applications that can be run on different screens (mobile, tablets, desktop or even wide screens). Some prominent areas where Vector graphics are used are in CAD programs, designing animations and presentations, designing graphics that are printed on high-res printers and so on. The fact that SVG elements are HTML elements makes SVG a very interesting graphics model. You can get full support for DOM access on SVG elements. You can use scripts, CSS style and other web tools to shape your graphics and manipulate it. As opposed to Canvas, which doesn’t include state, SVG is part of the DOM and therefore you have the elements and their state for your own usage. This makes SVG a very powerful model. There is one notable caveat though – drawing a lot of shapes can result in performance decrease. It is an HTML element and can be embedded inside your web page as any other HTML element. If not stated, the width of the SVG element will be 300 pixels and its height 150 pixels. Note: Pay attention to the SVG XML namespace which is different from regular HTML. We will use this information later on when we will use SVG with AngularJS. 1. The last rectangle will appear on top of the first rectangle. SVG behavior is to put the last declared elements on top of previously declared elements, if there are shapes that overlap. 2. In order to create a rectangle, you have to indicate its left-top point using the x and y attributes and its width and height. 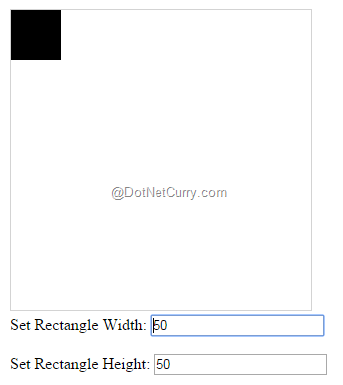 The default values for these attributes are all set to 0 and if you don’t set them, the rectangle will not be drawn on the SVG surface. There are other shapes that you can use such as circles, ellipsis, polygons, polylines, lines, paths, text and more. It is up to you to learn to draw these shapes and a good reference for the same can be found in the Mozilla Developer Network (MDN) - https://developer.mozilla.org/en-US/docs/Web/SVG/Tutorial/Basic_Shapes. As you can see in the code snippet, the rectangle will be filled with yellow color, will have a blue border, with a border width of 2 pixels. SVG includes a defs element which can be used to define special graphical SVG elements such as gradients, filters or patterns. When you want to use a special SVG element, you first define it inside the defs element and later on, you can use it in your SVG. Make sure you specify an id for your special element, so that you can use it later. 1. I defined the gradient using the linearGradient element. There are other elements that you can use to define other graphical aspects. Each element has its own attributes and sub elements, so it’s up to you to learn them. 2. The gradient has an id which is later on used in the rectangle using the url(#nameOfSVGElement) syntax. Note: The article doesn’t cover all the possible SVG element definitions. Now that we are familiar with SVG it is time to move on and see how SVG and AngularJS work together. You can combine SVG and AngularJS and it is very straight forward. Since SVG elements are part of the DOM, you can add them into view templates both as static graphics, and also as dynamic graphics. The first option is very simple and you just embed static SVG inside the HTML. The second option has a few caveats that you need to know in order to be on the safer side. In the example, you can see that all the rectangle attributes are set to some scope properties. 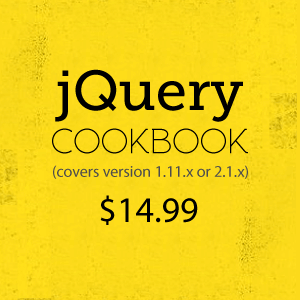 Now that we know how to combine SVG and AngularJS, it is time to see some code in action. Please observe the usage of ng-rect directive that we have created, and the binding of its attributes to the controller attributes. Also, we have bound the textboxes to the relevant properties using ng-model directive. That is all. This is a very simple application but it shows you how to combine both SVG and AngularJS and to create dynamic graphics in your applications. You can also use common SVG generator libraries such as Raphael or d3.js inside your directives but the idea was to show you how to do raw SVG graphics before you jump into a library. SVG is a very powerful graphics model that can be used in the browser. It generates graphics that looks good and scales well across different screens and resolutions. It also includes variety of elements that can help you shape your graphics easier. As you saw in the article, combining SVG and AngularJS to generate some sophisticated graphics is not so hard. As I wrote in the introduction, I was able to generate very interesting biological models using SVG and AngularJS and this should encourage you to try and create your own models.